Thur. 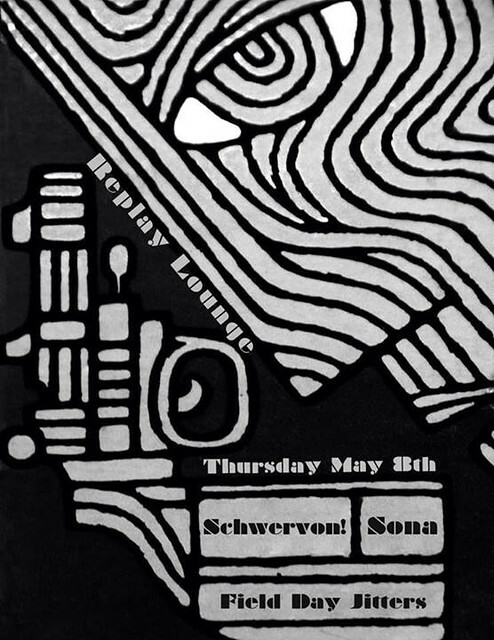 May 8 @ The Replay Lounge w/ Sona + Field Day Jitters (Lawrence, Kansas) | Schwervon! This entry was posted in Uncategorized and tagged Dance, Field Day Jitters, Indie Rock Circus, Lawrecne Kansas, Poetry, Replay Lounge, Schwervon!, Sona, Stop Day, Thursday May 8th. Bookmark the permalink.